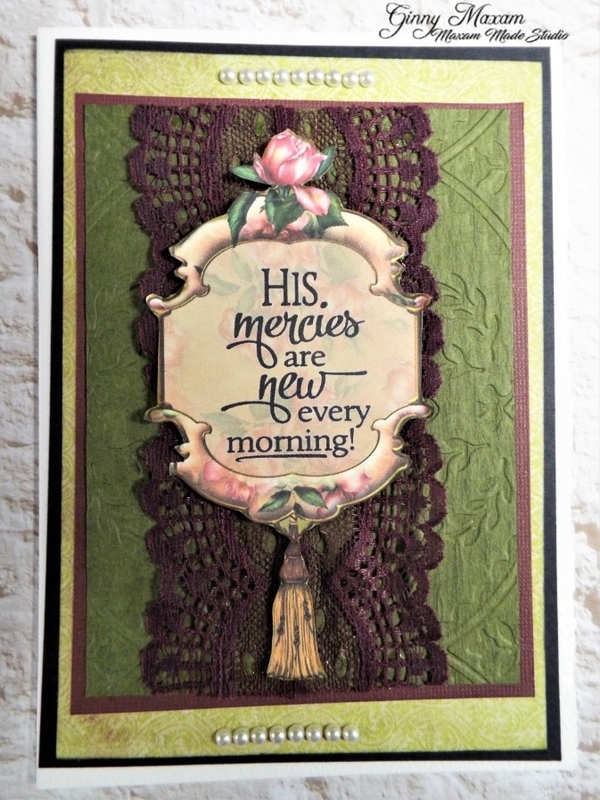 I wanted t share today a card I have made using a beautiful digital image from Gecko Girls Parisian Garden Collection and rich colored paper, lace and a favorite rubber stamp of a favorite verse! The frame image is from Gecko Galz Parisian Collection - so many beautiful images in this collection! I've printed this "frame" Fussy cut and then stamped the verse ( I cannot remember who made this stamp- I unmounted it and did not where it came from. I edged the frame in Olive Alcohol marker. Thanks for stopping by and I hope you enjoyed this stash busting post! 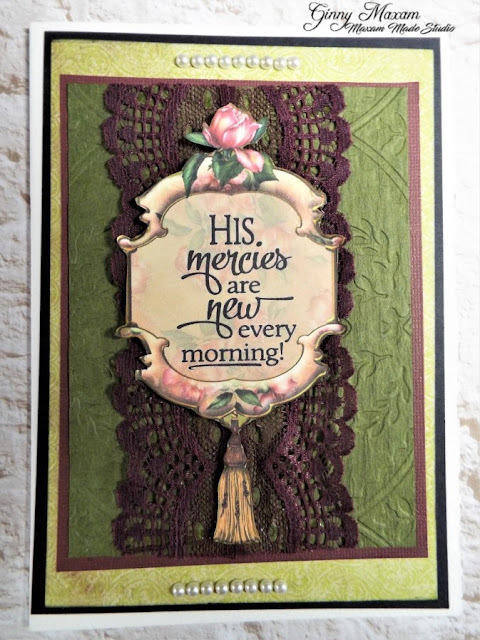 What a stunning card Ginny - love the rich contrasts and colours in the papers against the lace, the texture and then the beautifully framed scripture. Spring Book Mark Card and Spring sale! Pretty as a Picture, Lost Coast Challenge #50!